Some people love travelling through flights and drift into sound sleep through long flight hours while others dread air travel like anything! 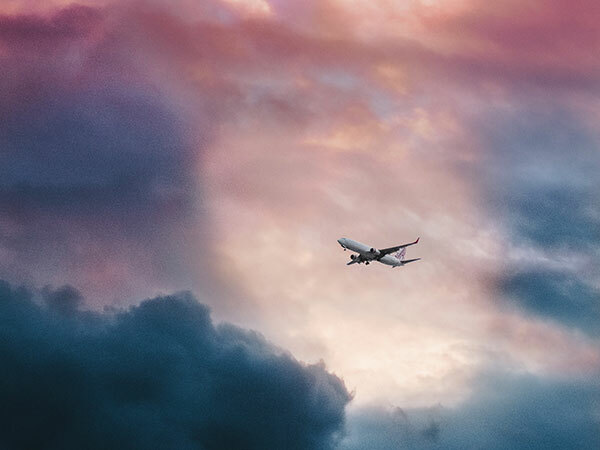 Flight journeys can be tedious, but imagine flying to your dream destination, ensconced by the fluffy cotton-ball clouds, witnessing stunning sunrises to amazing cityscapes. Tempting, right? Well, here is a list of destinations in India where you can directly fly to without having to face the inconveniences of travelling. Jaisalmer in the western part of the country, the Golden City of India, is now home to a fully functional airport. The airport has a regular or six days in week flights to popular cities like Mumbai, Delhi, Jaipur, Ahmedabad, Surat and Jodhpur. Jaisalmer comes with a melange of travel activities for the tourists and travellers alike. From historic sight-seeing to adventure activities like quad biking, dune bashing & parasailing for the adrenaline junkies or night out while camping in the golden desert, Jaisalmer has a lot of options to suit your taste. Shimla, the Himalayan reverie, is now accessible by air routes as well. The Shimla Airport has a regular flight scheduled from Delhi. Once the summer capital of British India, Shimla still retains the provincial charm of its glorious yesteryears with ornate architecture and buildings. Rich in natural splendour, the town boasts of several gothic churches and temples. Gwalior, a rich architectural blend of culture and age-old heritage, has an airport of its own now. Being one of the six major airports in the country, the Gwalior Airport is well-connected to other major cities of India and has direct flights from Indore, Lucknow & Bengaluru. Ensconced in the verdant valleys of Madhya Pradesh, Gwalior is home to an abundance of wildlife and flora and fauna. Farther down towards the southern peninsula, the Salem Airport in Tamil Nadu, apart from being one of the busiest airports of the state, is also a flight training and pilot training hotspot owing to its well-maintained conditions. The town of Salem is home to various picturesque mountain stretches of the Eastern and Western Ghats, shimmering waterfalls and some well-known archaic heritage sites and temples. Visit this place to kindle your wanderlust. The Mysore Airport, also goes by the name of Mandakalli airport, has its history dating back to the early 1940s, when it was built under the Kingdom Of Mysore. The airport has direct and frequent flights to Chennai. Nestled in the foothills of the picturesque Chamundi Hills, Mysore is home to many majestic palaces and exceptional architecture, making the place a history lover's paradise.